Purell is a registered trademark of Gojo industries, Inc.
Oil scent or Watermelon fragrance! Visit our shop to see great prices and all our wipe options. 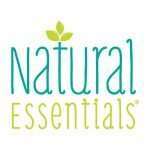 Natural Ingredients for general purpose cleaning! Dutch Harbor Brands® is a division of the wet towelette manufacturer Unico ITC, dba A World of Wipes® that has been developing wet wipe concepts and brands since 1992 and has earned admirable recognition worldwide. Dutch Harbor Brands™ produces the most unique, creative and environmentally friendly products in today’s market. Latest cleaning tips and pre-moistened wipe development. I’m so happy I found Dutch Harbor Brands two years ago. I pretty much tried virtually every type of make-up wipe product out there with no success. My skin is sensitive and has reacted poorly with other wipes leaving my skin dry or not removing the makeup whatsoever. Upon discovering DHB’s line Professional Makeup Wipes, I can confidently say that I have finally found the perfect product for me. 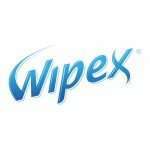 Can’t say enough great things about Wipex Fitness Wet Wipes. Others claim to be natural, but this is the real deal. I LOVE that it has vinegar in its formulation to naturally combat germs and wonderful refreshing scents. The canister couldn’t be more convenient. I just keep one in my car’s cup holder so I never forget to bring them along to the gym. Great products and superior service! And if that weren’t enough, the prices are phenomenal too. 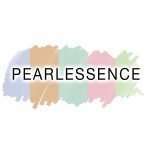 I randomly stumbled upon their products one day and have been a loyal customer ever since. My family and I thoroughly enjoy using their wipes daily. What’s with all the wipe?